Khargo: Furniture and Design: Milu at the New Look Khargo! With over 50 textures and 24 animations the Milu Beanbag offers something for everyone. The wide variety of textures for both beanbag and cushions means it can fit into any decor. The Milu Beanbag also gives props on certain animations. 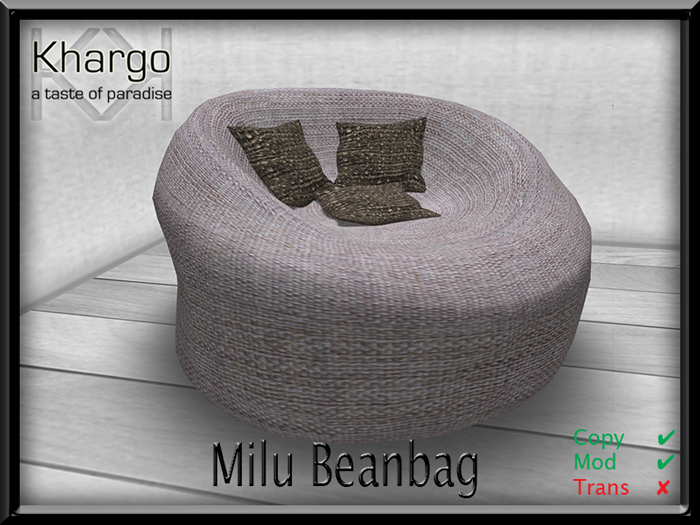 The Milu Beanbag is available in world at the new look Khargo Mainstore now! Find it on the Marketplace too at a special price!